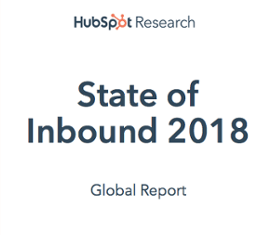 The State of Inbound 2018 has just been released in June from HubSpot based on the latest global survey data around the current state of sales and marketing. Bottom of the Funnel content is CRUCIAL across all global surveyed regions. 42% of survey respondents highlighted the need to prove ROI from marketing activities. From these statistics here the need for more initial digital contact engagement for top of funnel lead generation activities typically requires much time, cost and effort to work on producing leads. However the findings highlights a more pressing urgency and challenge for more effort working the middle to bottom of the funnel with sales conversion. What this means is that consistency working through the full funnel is required not just considering the top, middle or bottom focus. Are you delivering enough “decision stage” content in the buyers journey to help close the sale? If you start to focus on the sales outcomes first and reverse engineer your sales enablement to marketing lead activities needed to support to the goal, this will help qualified sales engagements with investment in aligning sales and marketing goals as a first step. When you can consider the flow, efficiency and impact of the full funnel approach will deliver more consistent results and higher conversion rates from top to bottom of the funnel. Without following the sales and marketing alignment process first, the measurement of tangible ROI can be difficult. We have just released an ROI calculator to help with the first step of that process. 32% of survey respondents highlighted reducing the length of sales cycles. Sales targets are getting more difficult to meet, so the emphasis on driving a more efficiency sales funnel and more stronger and consistent qualified leads. Business owners and sales managers are telling us this is their priority right now. This Marketing to Sales engagement can be aided with delivering effective sales enablement to help support the sales team. Our clients discussions definitely reflect the increasingly more difficult prospecting efforts year on year. There are answers to these challenges on a whole which requires a stronger and more focussed strategic approach. If you can integrate your sales and marketing methods using Account Based Marketing with Target Account Selling in planning and segmentation process then the execution of the inbound methodology for engaging the full funnel will deliver higher conversion success. We have spoken to many business owners who still say referrals are their main way of generating leads. This is great to hear and obviously reflects the quality of customer services and client relationships built up. However is relying on consistent referrals enough to generate a strongly qualified pipeline which is large enough to meet sales targets? There needs to be multiple channels in driving lead generation for maintaining a healthy pipeline. Content development with taking client references and authoring valuable content will still help drive inbound leads to you if it resonates and is relevant toward being customer centric. If you want to understand from our perspective why marketing campaigns can fail, feel free to get your white paper below. Email is NOT dead as a business tool. Some pundits some years ago predictted that collaboration and social tools would take over email as a business tool. However this is proof that email is preferred with more options from Microsoft, Google and Amazon in the cloud now. Our suggestion is to ensure you do assess your customer preferences and make available an omni channel communication approach. Of the three preferred communication channels, technology has made it more difficult to engage face to face from phone calls and emails. In Australia, there is a significant representation of small to medium business who are at different stages of the business lifecycle right now which is posing challenges whether you are in start up, mature stage or exit stages due to disruptive technologies impacting many industries to change. Every dollar invested must generate a solid ROI and business owners don’t have excess budget to spend without a solid strategy and plan in place. It seems that typically organisations are still not investing enough budget in effective marketing. However the ROI of investment for many SMB’s and SME’s need to be more targeted and strategically planned to start with. What we have found is that many business owners who aren’t marketers have expended a significant budget with ad hoc marketing activities that hasn’t generated a solid and tangible Return on Investment. Why is this the case? Typically we have found that a lack of integrated strategy for sales and marketing can be a cause or not understanding the relationship and interdependencies between both functions. 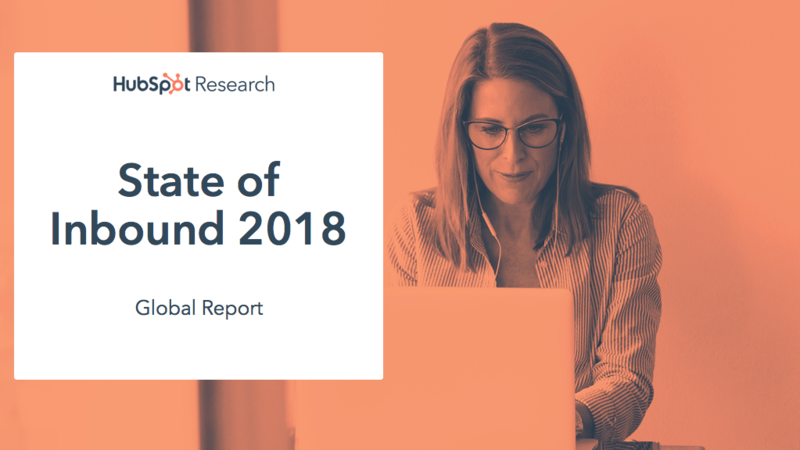 What does this summary of highlights and trends mean for your business planning in 2018? Firstly many of these survey statistics align to what we have been seeing in the A/NZ market and feedback from business owners who have been speaking to us about their challenges. It is evident that strategic thinking and planning needs to incorporate the process of aligning marketing and sales goals. We are also seeing however the reality is that many people simply don’t have time or aren’t willing to make the time to work ON the business than just in the business also. Short term thinking and behaviour is also proving a hinderance to achieving consistent sales targets and marketing ROI. The strong demand for Business Development Management and Account Management resources highlight in certain sectors the strong demand for new business to keep driving revenue. This requires the capability to drive sales qualified leads as well as experienced client facing sales skills to generate new business revenue. The role of Account Management is also important to retain existing customers as the increased market competition or transactional nature causes more churn if a supplier can’t add value in the client relationship. Our visit to the 2017 HubSpot Inbound Event in Boston last year provided validation of the rapidly shifting nature and importance of digital marketing automation. The advancement of using Account Based Marketing and marketing analytics vendors like Terminus. Voice Call Analytics such as CallRail can help generate and report on providing deeper insights and visibility to help drive outcomes. Every marketing plan requires consideration of using the inbound methodology to respond to the ways in which buyers make purchasing decisions today compared with a more traditional approach. This has been proven between traditional business and newer progressive business who realise they need to shift their mindset and change their business approach to survive and stay competitive. The reality of the rapid digital transformation shift and web presence truly allows even small businesses to flourish with global clients via online and ecommerce marketing approaches. Even without large sales teams the power of globalisation is clear and represents a significant opportunity for small businesses to leverage this period in time. If you would like to understand better how you can close more deals and also generate more consistently qualified leads, then feel free to contact us. Find out how you can be more sales effective using an effective digital content and and inbound sales strategy approach by contacting us. If you would like an independent review or diagnostic of the gaps in your sales and marketing activities and areas to improve your sales ROI, we would suggest you consider registering for our complimentary Business Growth Assessment.